Traditional sloppy joe, but topped on a hot dog! Your kids will love this delicious mess. In a large skillet, brown the ground beef with the minced onion and garlic powder. Drain and return to the stove. Stir in the sloppy joe sauce and warm over medium low heat for 5 to 10 minutes. Cook the hot dogs, as directed. Add hot dogs into buns. 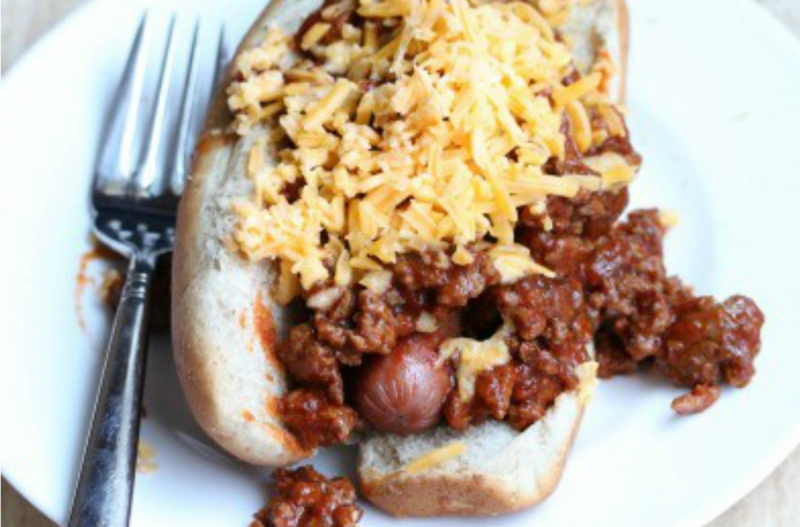 Spoon the sloppy joe meat over the hot dogs and top with shredded cheese. Serve Sloppy Dogs with fruit and chips. Open 2 cans of sloppy joes sauce. Put baggie in the freezer and freeze up to 6 months in fridge freezer or 12 months in a deep freezer. Thaw in the fridge overnight, or a warm bowl of water for about 20 minutes, before transferring to a skillet and reheating. Omit the shredded cheese for dairy-free meal. 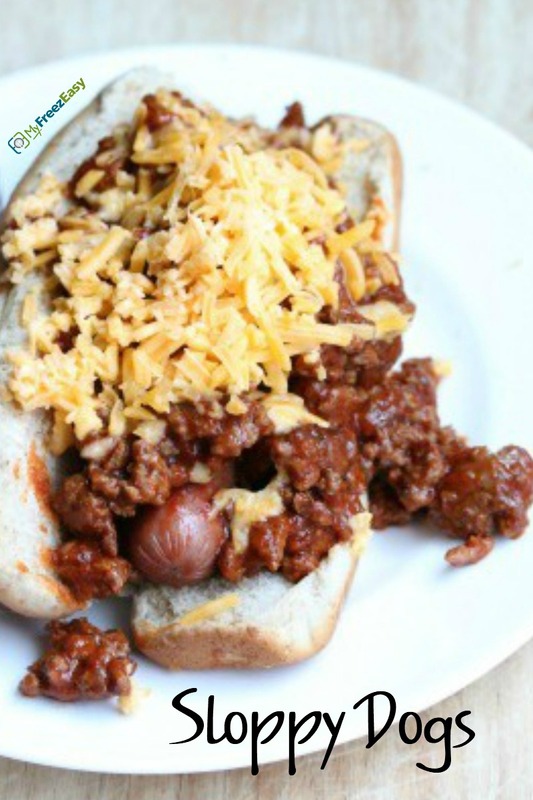 Serve hot dogs smothered in sloppy joe sauce without buns for gluten-free meal. Thaw and reheat sloppy joe meat in skillet. Heat hot dogs and once heated, spoon sloppy joe meat on top of the hot dogs and buns, then top with shredded cheddar cheese.